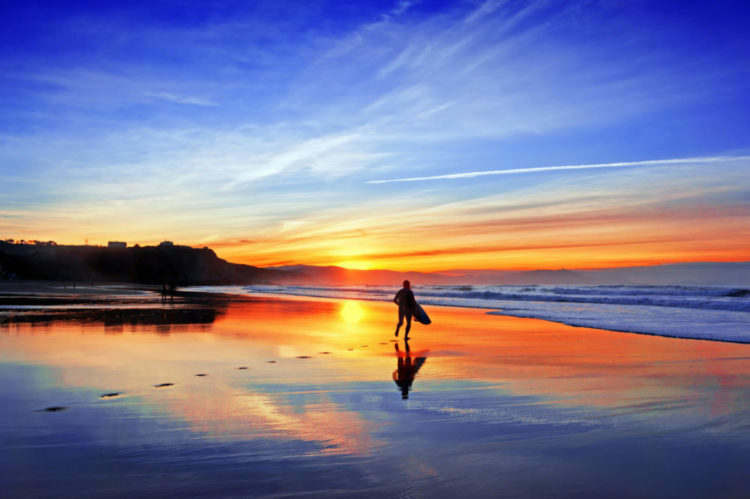 The Basque Country has been one of the world’s surf capitals for around half a century. The Atlantic Ocean and its waves created this vocation. Our passion did the rest. Over the years, our territory has chosen to become a privileged home for the board sports industry. The board sports sector has been organised around a cluster since 2005, EuroSIMA. It represents over 3 200 jobs and almost 400 companies, including 5 world leaders (Quiksilver, O’Neill, Billabong, Rip Curl, Volcom). An economic park is dedicated to board sports : BAIA Park in Anglet (and its associated business centre, Olatu Leku: business centre, nursery and resource centre). Over 40 brands are concentred in an area of less than 50 km. This sector generates 1.2 billion euros turnover per year (European market).